As first lady, Michelle Obama won our hearts with inspiring speeches and acts of kindness. She encouraged young women to believe in their futures — promising that hard work can lead to endless possibilities. 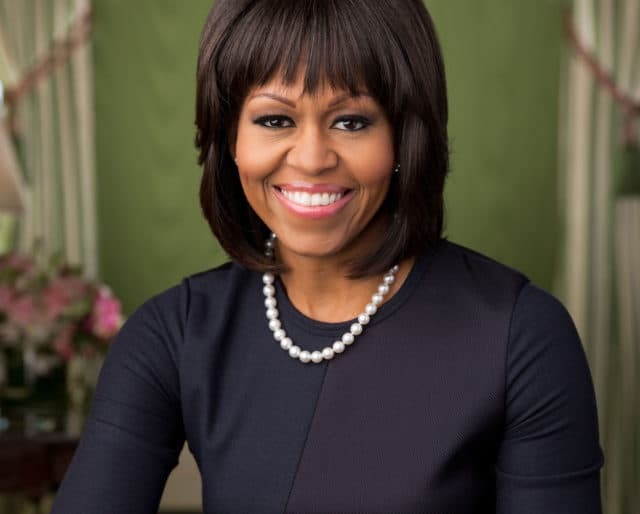 Obama delivered a memorable speech at the 2016 Democratic National Convention which included the message, “When they go low, we go high.” President Obama once alluded to Michelle’s “strength, grace, and determination.” On January 17, we’re also simply reminded of her great sense of style. Happy Birthday, Mrs.O! More power to you. Obama's book "Becoming" told the story of her Chicago roots as well as her time in the White House. The memoir sold over 1.4 million copies in its first week. A quote: "Being your first lady has been the greatest honor of my life and I hope I've made you proud." She appeared on the cover of Vogue for the third time and once again won praise for her timeless sense of style. Obama co-founded the Joining Forces program to expand educational and employment options for veterans. Obama became the first African-American first lady — and only the third with a postgraduate degree. Obama electrified the crowd at the 2016 Democratic National Convention. This one deserves a second look. We don't just mean passively following her on Twitter and other social media. Hear what she has to say and be a force for social change! This is the perfect way to celebrate her birthday because Obama loves to dance to Beyoncé's songs! President Obama called her "my rock" and regularly asked for advice on important matters. Obama loves to work out so much that she earned the nickname "female gladiator" among her friends. She gave up a high-profile career in corporate law to work in public service because she wanted to change lives. As a test she asked Barack Obama to play basketball with her brother before deciding to date him. That's because her father used to say that you can tell a lot about a person by observing them on the court! She loves healthy food, but occasionally indulges in not-so-healthy food!